Marjariasana, anyone? No, it’s not a mind altering substance, it’s a body altering exercise – specifically, the “cat pose” known to practitioners of yoga. Japanese artist Yoh Kakuda has a unique eye for animals and a refined skill at bringing their subtle movements to life in small wooden sculptures. Kakuda’s “Gombo” is a wide-eyed cat, caught in the middle of a comfortable wake up stretch. Gombo has a secret, but he won’t tell – cat’s got his tongue. We recently adopted a kitten who lost his mother during Hurricane Harvey. He loves to poke his nose into my photographs of boxes and booze. Eventually his curiosity led to a pairing of his very own. 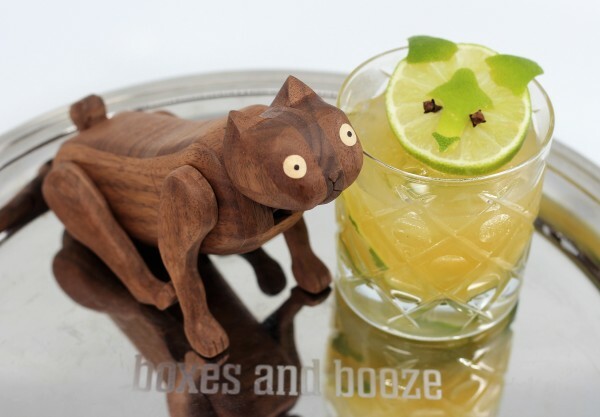 The tipple for this tomcat comes by way of Brazil and Thailand. The Caipirinha originated in Sao Paulo in the early 1900’s as a medicinal tonic made with green lemon, honey, garlic, and Brazil’s version of sugarcane rum, cachaça. 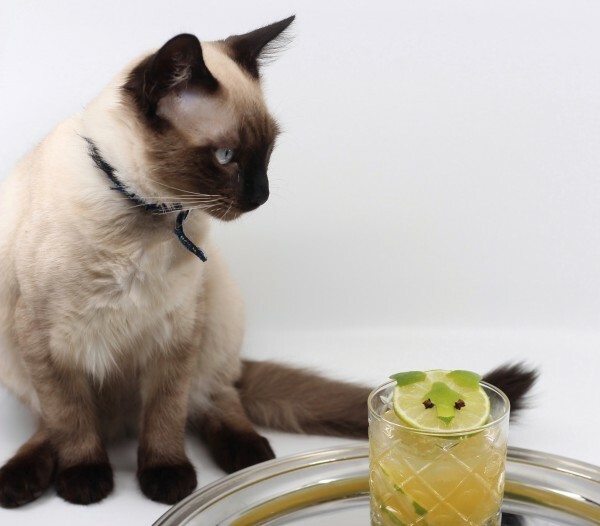 When the tonic made its way to the big city of Santos, it was reworked as a cocktail and dubbed the “little peasant” (caipirinha) in homage to its humble origins. Undeterred, it went on achieve international cocktail fame in the 1920’s and was even inducted by Brazil’s president in 2003 as the official drink of the nation. 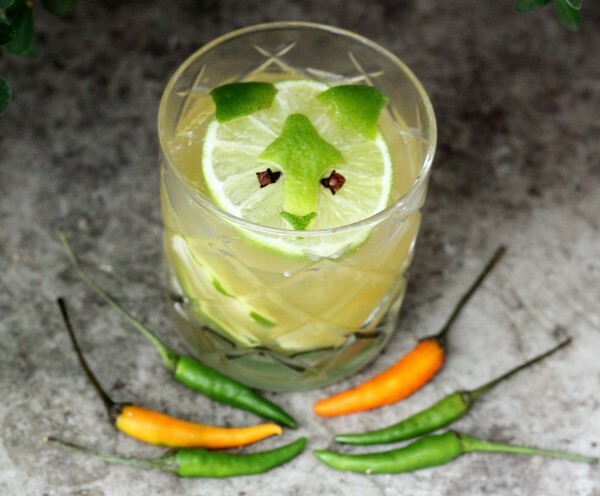 Fast forward to the present day in Austin, Texas, where bartender Mike McMillan created his popular twist, the Siamese Caipirinha, and you can see where we’ve been going with this one. 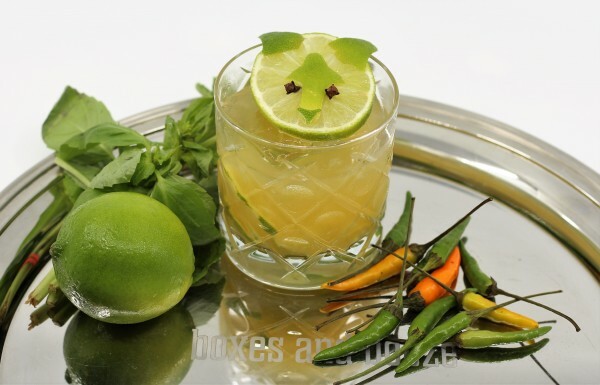 Infused with Thai chile and basil, this version is richly flavored and so delicious. You might even say it's the Cat's Meow. Cheers! Muddle the lime wedges and sugar in the bottom of a shaker tin. Add the cachaça and shake vigorously with ice. Pour into a favorite glass.